My Soluble Lanolin is now in full swing, and going down like hot cakes. 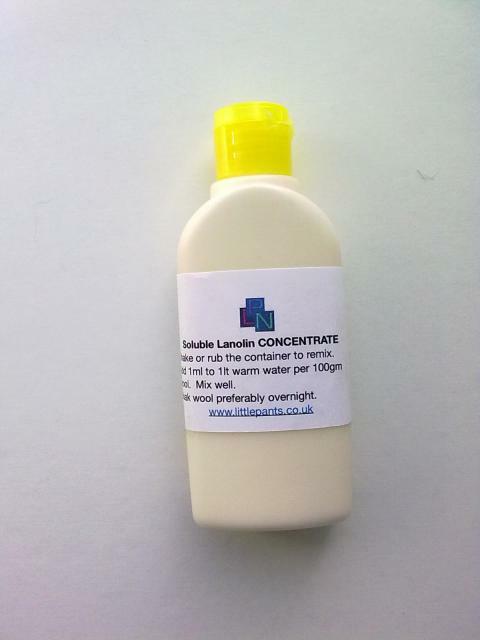 The bottles contain 100ml of double lanolin, and 1ml is enough to lanolise a soaker, 2ml enough for longs and a skirty. A 1ml measuring syringe is also provided, so you can get used to how little 1ml is. Once you've used it a few times, you'll know how much to use, and can just squirt it direct from the bottle. 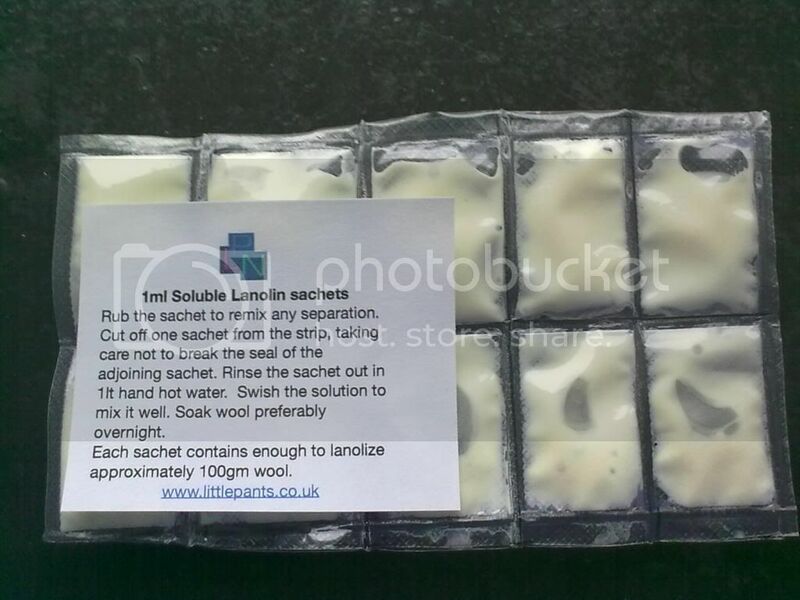 This soluble lanolin is made in exactly the same way as you would prepare solid lanolin for lanolising. I have just worked on a recipe of amounts of lanolin, water and emulsifier to use, so it comes out perfect every time. If you want scented, I can add a scent for you as well. £6.50 per 100ml bottle, including postage. Also available in 10 x 1ml sachets - £1.50, including postage. Fair enough! Would be good if you had the demand though! Thanks for the idea, but there is little demand for scented actually. I think I've only ever had 2 requests for scented. So to make up multiple sachets in scented, even as samples, would not really be viable. Do you mean 1ml of each scent? That would be pretty impossible to do, because the scent is added afterwards, and the amount to put in 1ml would be microscopic! I could do 10x1ml sachets in one scent IYSWIM. Cool No rush here, I wont' need to wash my stuff for a little while yet I'm not sure if you do it but do you have a single use one with samplers of the different scents (and if you don't can you because that would be so cool to be able to test on a single item to see if you liked it before buying a whole bottle then hating it!). What scents do you have Ali? Do you mean a 100ml bottle?